I melted the thermometer!! I was wrong when I thought it was the kind that could hang out with the chicken while it cooked. The packaging was in the wrong when it didn’t tell me that. Can I still use the limited warranty??? 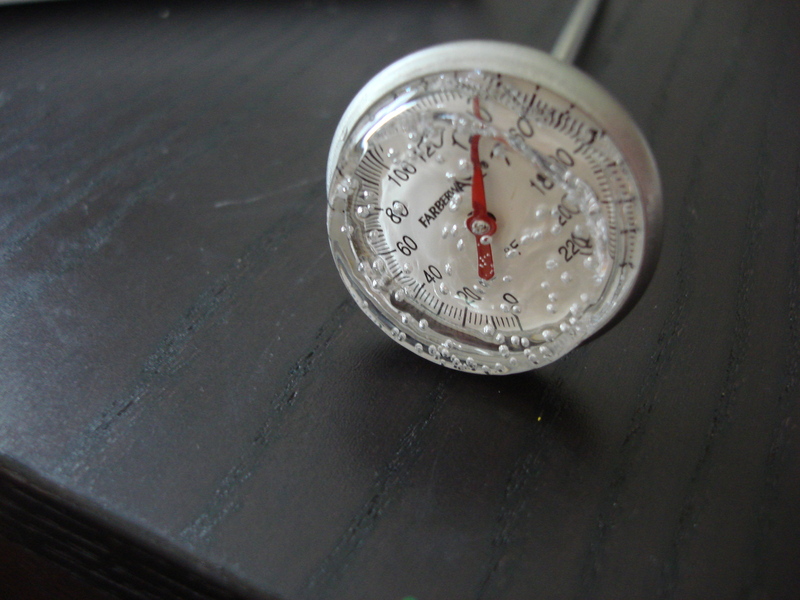 I assigned the meat thermometer a task it was born to fulfill. Oh, sad. My new toy is broken. 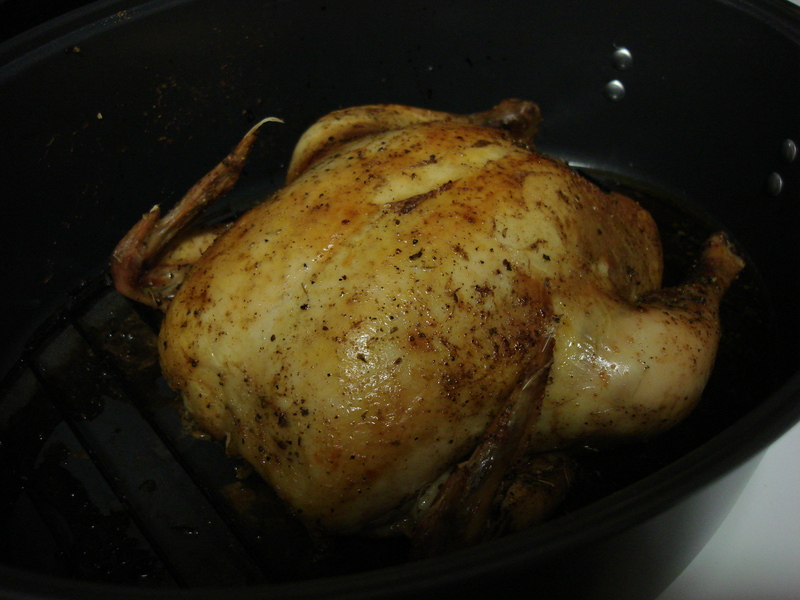 And the result— delicious, roasted chicken. I was able to use the tried and true method of cooking it a really long time then checking for any and all pinkness when slicing and dicing. I always feel like a surgeon when I’m slicing a whole bird– be it a turkey or chicken, and this, my friends, makes roasting a chicken an even more thrilling endeavor. Preheat oven to 375 degrees F. Remove and discard insides and neck from chicken. Rinse with cold water. Pat dry. Set onto rack of roasting pan. Insert onion, cilantro, and garlic into cavity. Juice the lemon into the cavity then place the rinds in as well. Pat butter on top of the chicken. Sprinkle with Jane’s Mixed Up Salt. Every fifteen or so minutes reapply butter to the chicken. Cook for 1 hour and 10 minutes or until (reliable) thermometer reads 180 degrees F. Let stand 10 minutes for chicken to reabsorb juices. The next night I had chicken, green beans, and spinach artichoke dip, which I believe you might know a bit about already.